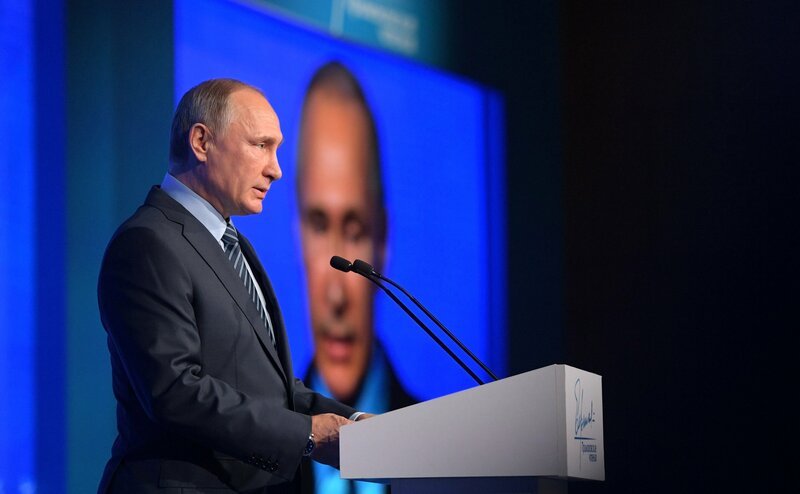 Russian President Vladimir Putin has voiced confidence that it will only be possible to resolve the situation in the Middle East through effective cooperation between all countries interested in that. However, so far there has been no such interaction. "Today it is clear that the necessary condition for bringing the situation in the Middle East back to normal is effective cooperation between all interested and influential international players," he told the Primakov Readings forum on Nov. 30. "In accordance with this logic, the initiative to form a broad front to combat terrorism put forward by us should be implemented. Unfortunately, such a front has not been formed yet." "However, there is no alternative to it," the head of state stressed. Putin recalled that prominent Russian diplomat and politician Yevgeny Primakov warned that the consequences of revolutions in the Middle East would be devastating. "During the so-called Arab Spring Yevgeny Maksimovich warned that toppling secular regimes in the Middle East could lead to a catastrophe. Primakov’s words turned out to be true, one may say, unfortunately," he said. "Unfortunately, the Middle East was plunged into a series of bloody conflicts turning into a hotbed of terror and religious extremism."